"I NEED AN INDIANAPOLIS MATERNITY PHOTOGRAPHER!" 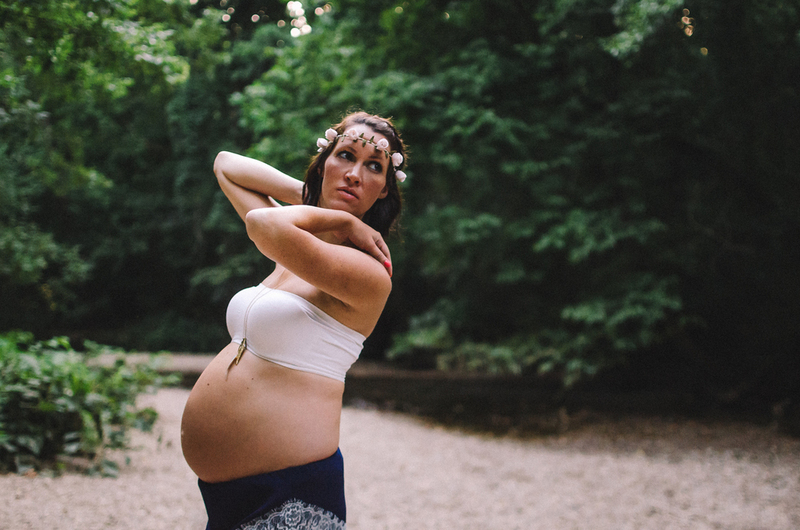 You're in luck because maternity photography is one of my favorite things! I love to highlight the strength and grace of women as they take their sacred journey towards the moment of bringing a new life into the world! "I'VE LOOKED AT A LOT OF MATERNITY PHOTOGRAPHERS IN INDIANAPOLIS. WHY SHOULD I PICK YOU?" Ultimately, I want to celebrate your love. 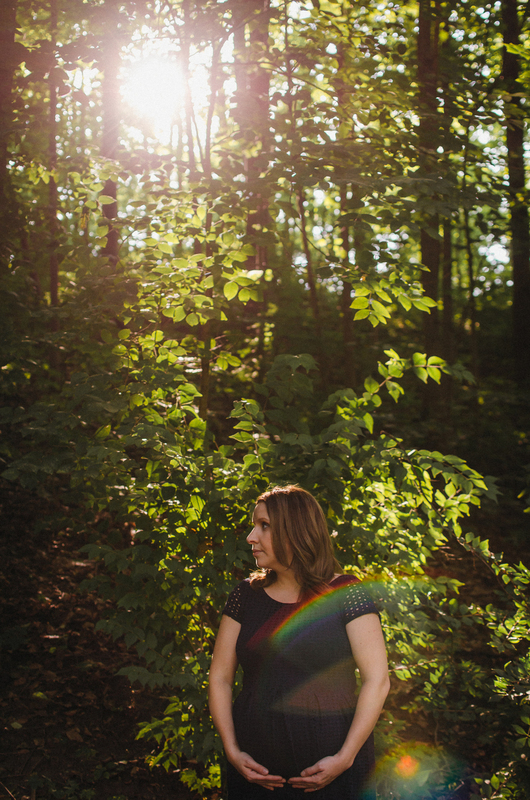 I shape each maternity session to capture a little bit of that feeling you have when you're pregnant. That feeling of longing to meet your baby, hold him in your arms. The feeling of being connected to something so deep, primal, and sacred. The incredible excitement of embarking on a journey with the person you love. I think those feelings need bare feet, flower crowns, and pretty dresses -- the romantic, boho look just sets the mood. I'm also all about results. My ultimately goal is for you to walk away with pictures that you absolutely love and that represent who you truly are. I'll fiddle with a pose until I get it just right. I'll help guide you every step of the way so you're never left wondering what to do. I pay attention to angles, so that your best assets are highlighted and the things you aren't so keen on are minimized. I know cutting edge retouching techniques that can help with minor imperfections while NEVER looking fake. "I'm absolutely in love with my maternity pictures. I had a vision of a whimsical fairytail and you complete brought it to life. I'm so thankful to have found you and now I have these beautiful pictures to remember my journey into motherhood by! Your work literally brought me to tears . . . thank you from the bottom of my heart." "OK, YOU'VE CONVINCED ME AND I'M FEELING EXCITED! 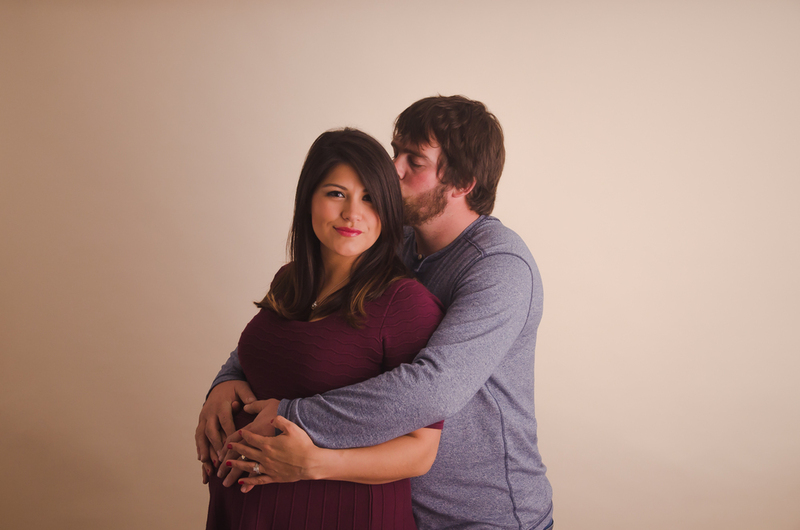 WHEN SHOULD I BOOK MY MATERNITY SESSION?" I like to have moms contact me when they are 3 to 4 months pregnant, so they can schedule a date around 32 to 35 weeks. If it's NOT your first pregnancy or you're very petite, you will probably show earlier and could do the session around 28 weeks. Otherwise I like to wait a bit so you look DEFINITELY pregnant and not like you just have a food baby. Definitely contact me a few months in advance of the date you want to book. I fill all available spaces in my calendar sometimes as far as 4 months out, so last minute bookings frequently (and sadly) have to be turned away if there just isn't any room. Session and images are purchased separately; average investment is $800 to $2000 per session. "DO I GET A DISCOUNT IF I BOOK WITH A NEWBORN SESSION?" Yes! If you book a maternity session and a newborn session at the same time, you'll save $150 PLUS get $200 to spend on a baby session or first year plan. "CAN MY FAMILY COME?" / "CAN I JUST DO PICTURES BY MYSELF?" You can definitely bring dad and the kids along if you want them to be in pictures. It's also totally fine if you want to do the session alone. Some ladies feel weird without their significant other by their side so he's definitely gonna be in those pictures! Other gals feel weird if he's there watching, so they send him off to do his own thing for the day. We can do WHATEVER makes YOU feel the most comfortable for your maternity session! "WHAT SHOULD I BRING TO THE MATERNITY SESSION?" I have a few outfit guidelines for you to follow, and a visual inspiration guide to help you decide on colors and styles. When you arrive at the session, I'll put the finishing touches on your outfit with some accessories. I also have a couple of maternity gowns available if you'd like to do something extra special. You can also bring any special mementos, a pair of baby booties, something from the nursery -- anything you'd like to incorporate from your life into your picture art. "THIS SOUNDS GREAT -- YOU GET ME, GIRL! LET'S START SETTING UP A DATE!" Thank you so much for reaching out! I'll be in touch soon, usually within 1 business day, but sometimes up to 3 business days.